Youngstown State men’s basketball coach Jerrod Calhoun, right, watches an AAU tournament last week in the Columbus area. College basketball coaches keep busy during July visiting numerous tournaments to find the players they need. COLUMBUS — Jerrod Calhoun sat down among the other coaches. He texted a bit, looked at the action in front of him and occasionally talked to a familiar face. 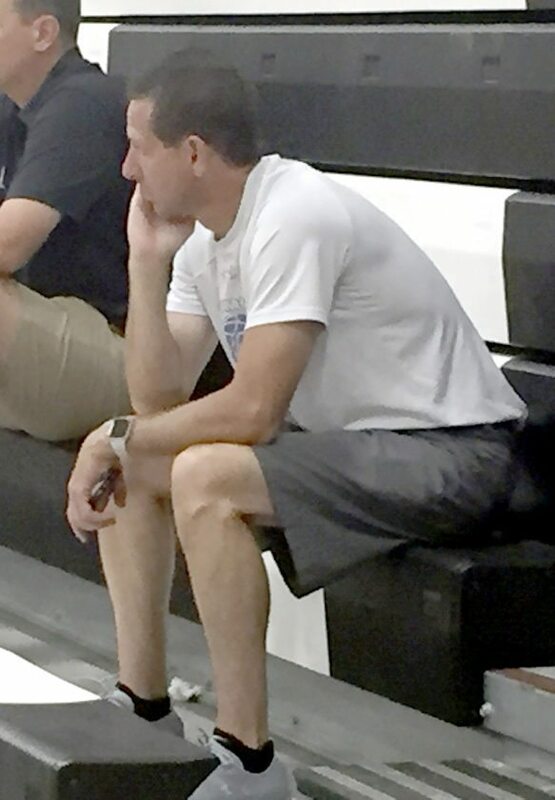 The Youngstown State University men’s basketball coach mixed with fellow coaches Friday during the Nike Summer Championship at Whitehall-Yearling High School and the Summit Branch of Reynoldsburg High School. You would wonder, at first glance, why are these coaches sitting on their butts watching basketball? Don’t they get enough of that during the season? Well, it’s not what you see at first glance. Westminster coach Kevin Siroki, a Mineral Ridge graduate, checks out the high school prospects also. The facets that go into recruiting is something that goes way past the naked eye. Calhoun and his staff start looking at YouTube video submissions and other social media and websites holding the key to potential prospects. After careful considerations from the YSU staff, Calhoun, associate head coach Bobby Steinberg and assistant coaches Paul Molinari and Jason Slay become road warriors the latter part of July. Calhoun flew in from Philadelphia after a two-day trip watching AAU action, arriving about 10:30 a.m. Friday, finding a rental car and a place for lunch prior to heading off to see a couple of players on the Penguins’ radar, such as senior-to-be Jelani Simmons, a 6-foot-6 shooting guard from Columbus Beechcroft. According to numerous Twitter reports. 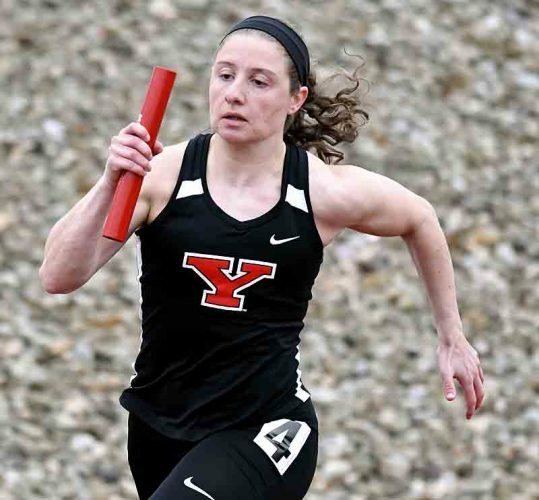 YSU has made an offer to Simmons. 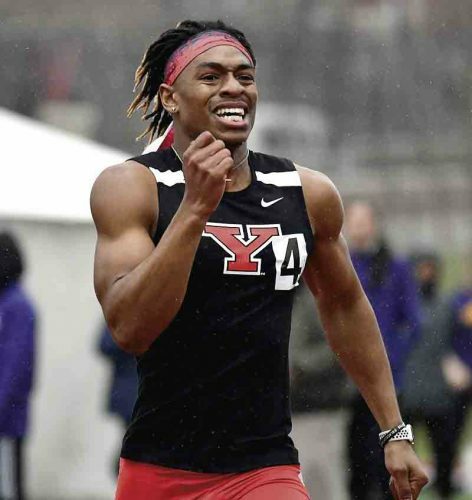 Neither Calhoun nor his staff can comment on any recruits, according to NCAA rules, until the player commits to a National Letter of Intent for YSU. But Calhoun has stated he’s seeking two wing players for the 2018-19 season to replace seniors Francisco Santiago and Cameron Morse –last year’s starting guards. Calhoun said he’s looking at two players who can build upon the 2017-18 class and have an immediate impact. They’ll pare down the selections to on-campus visits in September and hopefully sign a pair of wings during the early signing period in mid-November. Then the focus shifts to the 2019 graduates. “We’re going after the best two guys we can get with our two scholarships,” Calhoun said. 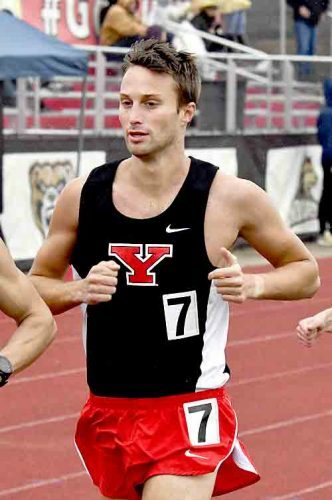 Besides the actual recruiting, YSU is very active in its social media with other staff members like Mark Richmond, Danny Reese and Kevin Bruinsma posting videos of the team’s workouts on the court, in the weight room and outside the Beeghly Center. “That helps in recruiting because kids follow that stuff,” Calhoun said. Slay, the team’s recruiting coordinator, has a list of games he complies for the tournaments each of the YSU coaches are attending. Slay was in Louisville, Kentucky, on Friday and was headed to Columbus on Saturday. Calhoun left after 9 p.m. Friday and most likely passed Slay somewhere on the highway as he drove more than four hours to Louisville in his rental car. 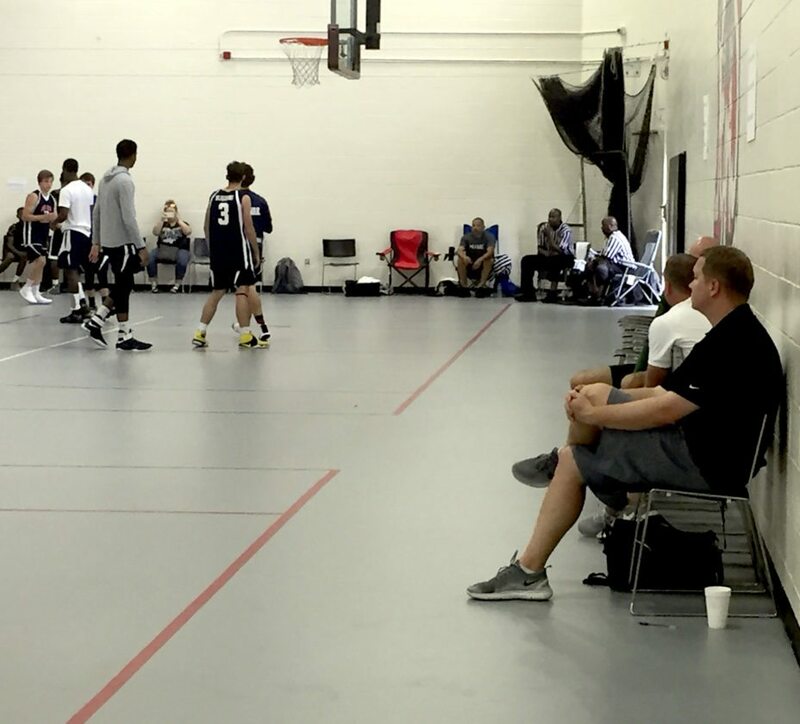 Mid-to-late July college coaches head to such tournaments like this Nike one east of Columbus to evaluate prospects. He breaks the recruits down to three categories, similar to how NBA teams assess their talent. One is a max player, the best player a team is pursuing. The next tier is a B list, like a first-round player, while the C list is second-round talent. “We want to go after max targets,” Calhoun said. “We want to get in front of these kids. We want to make sure they see us at their games. We’re not allowed to communicate with them during the games or during the tournament. The only thing we can do is text them at night after the tournament. Sometimes things happen as well. Calhoun said a player on his B list received an offer from a high-major team after a breakout game — going from no offers to an offer from a team from the ACC, Big Ten, Big 12, SEC or Pac-12. “One of the things great programs do is evaluate kids multiple times,” Calhoun said. “You just can’t rush into offers because you only have 13 players. The YSU coach grasped the plain white Styrofoam cup he got with his lunch. It’s one of five cups Calhoun drinks a day to keep his focus. More than eight hours and eight games to view ensued. Mental notes and plenty of preparation back in Youngstown helped Calhoun and Slay focus on what they need to see on the floor from these prospective players. Molinari stayed in Philadelphia, while Steinberg, a former junior college coach, watched the JUCO players in Kansas. The coaches were in South Carolina, Georgia and Indiana the previous week scouting talent. You always have to be aware of the unknown as well. “July is about opportunities for these kids,” Calhoun said. 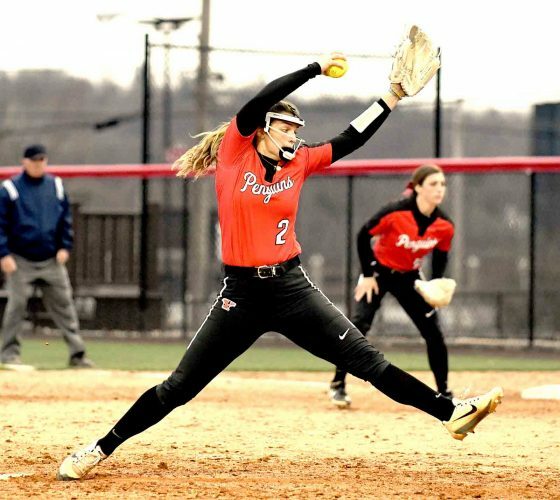 “You may go into a tournament and someone may have a breakout performance. Sure, the on-court focus is what these coaches are here to see, but what else? It starts with getting a player who truly wants to be in Youngstown and part of this culture. Westminster coach Kevin Siroki, a Mineral Ridge High School graduate, was also in attendance at the Nike Camp. He was looking for similar attributes in recruits for the Titans program. At Division III, scholarships are not offered. He’s got players from Columbus, Cleveland, Western Pennsylvania and the Youngstown area. Meanwhile, back at YSU, the Penguins are still working out preparing for the opener Nov. 11 vs. Kent State at Akron as part of the Northeast Ohio Coaches vs. Cancer Tournament. Calhoun has designated Braun Hartfield, Santiago and Morse as his leadership team to help oversee the comings and goings of the players, along with assistant strength coach Jake Tuura. Calhoun keeps in touch with his players through text messages and calls as well, to make sure his team is on task — on the court, in the weight room and in the classroom. He also stays in touch with family during these trips. Calhoun saw his son, Jordan, who is going to be a junior at Villa Angela-St. Joseph, play during this Nike tournament at Whitehall-Yearling High School, which was to conclude today. Calhoun kept in touch with his mother, who is having knee surgery, and talks to his wife when he gets up and before he goes to bed. He also finds time to Facetime his daughters during the day. It all starts with the recruiting services, Twitter feeds and highlight tapes as coaches began evaluating talent in the month of July — on sometimes little to no sleep.